We made a big splash at the 6th annual Cargo Logistics Show in Vancouver this February with several recognizable Canadian companies taking note and booking on-site demonstrations. 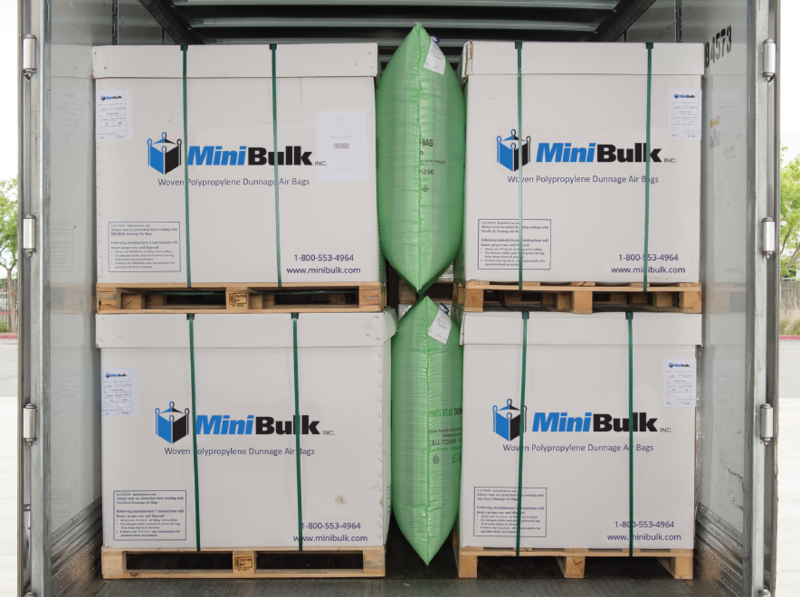 Now you might be asking what exactly is an inflatable dunnage bag, so we are going to delve into this new product line MiniBulk is now offering. Let’s have a look at what they’re made of, how they work, and what they accomplish for our clients around the world. Inflatable dunnage bags are designed to secure and stabilize cargo in containers, closed rail cars, trucks, ships and anywhere you need load securement. They prevent both lateral and longitudinal movement and are much more effective in stabilizing cargo than wood blocking and bracing. Not only in terms of cost, but in terms of speed, safety and efficiency as well. Manufactured by our fully vertically integrated overseas partners, we control the entire process from resin extrusion right to the final sewing. No other company can offer this level of control in their manufacturing process. From start to finish, our quality assurance is second to none. The exterior shell is made from the same super-strong material as the bulk bags we offer; woven polypropylene. Our woven polypropylene bulk bags safely haul thousands of kilograms around with ease, so adding another product made from the same heavy-duty fabric made perfect sense to us. The interior of our bags is made from polyethylene film that gives an additional layer of strength to our dunnage bags. This thermoplastic dream team works together to allow the production of dunnage bags that can withstand up to 216,000 lbs of burst pressure. That is not a typo, Level 5 dunnage bags are no joke! In the simplest of terms, inflatable dunnage air bags are void fillers. If there is a space your cargo can potentially topple into, you simply fill that space with a dunnage bag. If that cargo comes loose, instead of accelerating to disaster with gravity or inertia, your cargo doesn’t move at all. After all, it’s never the speed itself that’s dangerous, it’s always the sudden stop and the rough roads due to our Canadian weather. The best dunnage bag for a particular need depends on a number of variables such as void size, height of the cargo and specific shipping requirements. Our dunnage bags come in 6 different levels as well; 0 being the lightest duty with Level 5 being the heaviest and most durable. Anybody familiar with the shipping industry is aware of the dreaded ‘freight claim’. This is when material in transit is damaged and the company who tasked the carrier is seeking payment for their losses. Claims are so common, most carriers have a claim portion in the FAQ section of their website. Utilizing dunnage bags will help to keep your claims at a minimum as the chance of damaged goods is greatly reduced with a proper cargo securement plan. In most applications you will save time and energy using dunnage over traditional load securement ensuring the goods that were entrusted to you and your company arrive in the same shape they left in. Here in Alberta, a lot of oilfield hauling is done on roads that are not exactly ideal for a smooth ride. 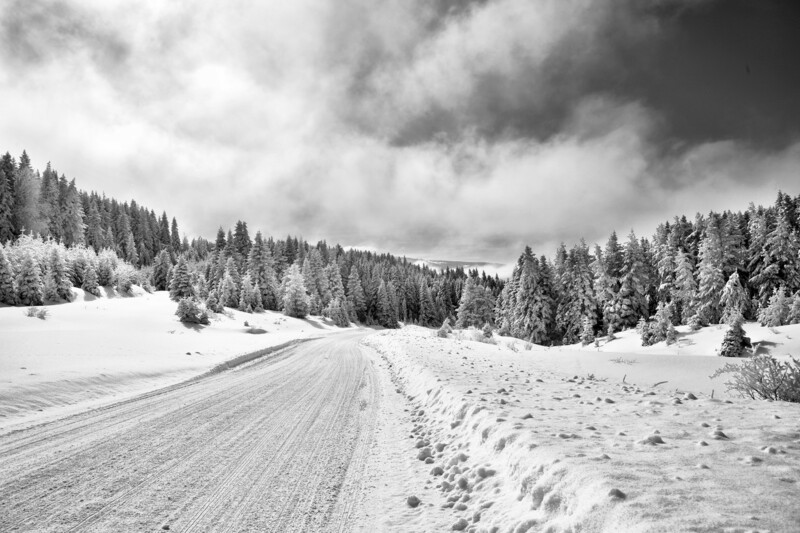 These strenuous trips across broken roads can be daunting to driver and cargo alike. Using dunnage to secure expensive cargo headed “off the beaten path” is a great idea. Or you could break it, ship it back for repairs, and hope the next trip goes better. The main benefit of our new line of inflatable dunnage bags is that they are reusable. Their ultra-tough construction allows them to be re-used multiple times slashing the cost per unit with every shipment out your door. 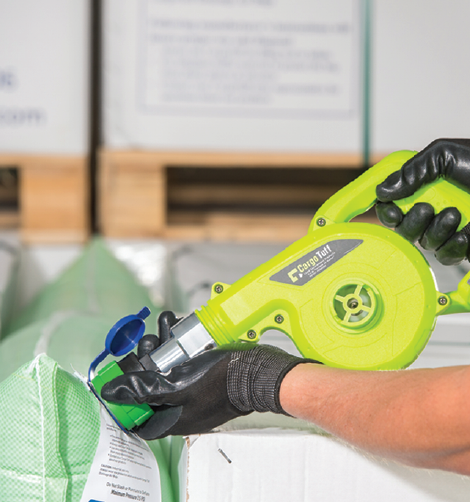 Another great reason to team up with us for cargo securement is P.A.M. That’s our ‘Portable Air Master’ a rugged 18V, cordless inflating tool that provides hours of durable dunnage inflating on the go. No need to install air lines or pay for costly forklift upgrades. However, if you do have air lines, we offer adapters too. Finally, it should be noted that our dunnage bags are 100% recyclable. Once they have reached their end of life (usually around 6-8 uses depending on the client) they can be shredded, melted, and turned into other useful products. MiniBulk provides a complete selection of load securement products to help you preserve your good reputation by having your loads arrive in perfect condition. Whether by truck, container, rail or vessel, we have the most innovative cargo solutions to help you save money. Our business is built on integrity and we pride ourselves on the fact that we deliver the highest quality products on a consistent basis. Contact us today and we will show you how to reduce freight claims, deliver more product on time, and most importantly in one piece.